Itâ€™s 1929 on the vast, desert-like, Eastern Arrernte Nation lands that are now known as the Central Australian outback. Sam Kelly, a middle-aged Aboriginal man, works the land of a kind preacher, Fred Smith. After an ill-tempered bully arrives in town and Kelly kills him in self-defence, he and his wife go on the run as a posse gathers to hunt him down. 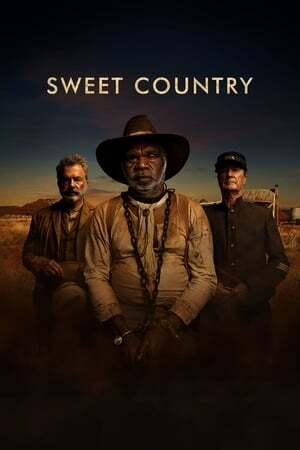 I went in to _Sweet Country_ completely blind, had no idea what it was about, knew literally nothing beyond Sam Neill being in it, and the fact that it was called "_Sweet Country_" (good thing too, 'cause the trailer I watched for it a week later spoils literally the most important and final plot point). _Sweet Country_ is a slow-burn venture in the right way, that makes some odd stylistic choices which perhaps would have better served a different sort of movie. A distinctive film for a year that has had a lot of same-same movies.